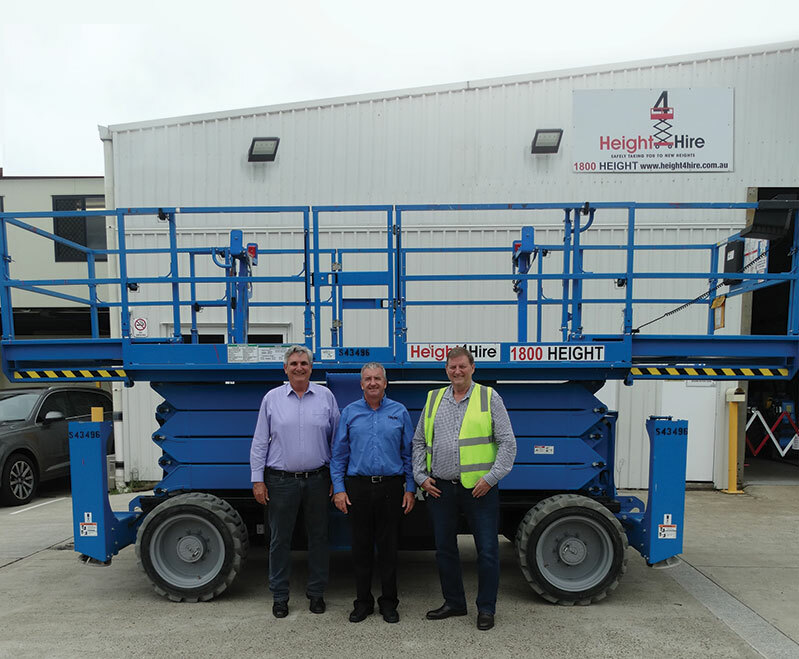 The Genie® GS™-5390 RT scissor lift, commonly known as the ‘industry workhorse’, according to Richard Gannon, Genie Regional Sales Manager of QLD/NT/WA, Terex AWP, is a sturdy, construction-oriented four-wheel drive machine with positive traction control. This extra control is ideal for increasing productivity in demanding outdoor worksites. John further explains, “They are mostly an outdoor machine and are popular with cladders and roofers, working on building construction sites.” The Genie® GS™-5390 RT model is typically found on these sites or hard at work in big warehouses. Currently, Height 4 Hire services customers around Brisbane, the Gold Coast, Toowoomba and up to the Queensland north coast. As for 2018, John said the outlook for the non-residential construction sector in Queensland is very robust. Height 4 Hire is owned by Ken and Geoff Baker, both of who have spent nearly 40 years in the mining, building and construction industries. For more information about Height 4 Hire, visit www.height4hire.com.au.